Applying to Med School: AMCAS 2018 is OPEN! The time has come for the entering class of 2018 med school hopefuls to APPLY! 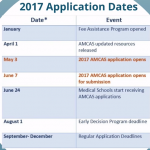 As of May 2nd the American Medical College Application Service aka the AMCAS 2018 is OPEN! It’s the BIG one. This application is massive and meticulous so get on it ASAP. With the exception of the schools in Texas, the AMCAS is the application used for nearly all med schools in the U.S. The Texas programs use the Texas Medical & Dental School Application Service aka the TMDSAS, which also opened this month. Either way, it’s time to start applying! Firstly, here is the full AMCAS 2018 Instruction Manuel to read. The AMCAS is long and complicated; make your life easier and actually do read the thing. All the information you can ever want can be found there and at the very comprehensive AMCAS website here. The application fee for the submitting your AMCAS 2018 is $160 (that includes one medical school designation) and additional medical school designations: $39 each. Keep in mind there is the Fee Assistance Program and if you qualified to use it when registering for the MCAT you probably qualify here too! You’ll use your AAMC username and password to login, save, edit, and submit your AMCAS. This is the same login info from registering for the MCAT and Fee Assistance Program. If you are completely new to the AAMC website you can register here. This is the standard personal and biographical information. 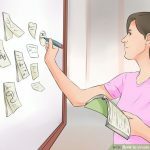 Even the AAMC admits, “The Course Work section is often reported as the most difficult section to complete.” Here you take a copy of your transcripts to enter detailed information regarding every single course in which you enrolled at any college you attended. This is where you enter any work experience or extracurricular activities, awards, honors, or publications that you would like to show off to the admission committees. A maximum of 15 experiences may be entered and 3 entries can be designated as your “most meaningful” experiences. Really it’s quality > quantity, so don’t go crazy here. Here you will enter the information regarding your letter of recommendation writers. Up to 10 letter entries may be created but keep in mind individual programs don’t need/want 10 letters! This is where you will select the schools to which you will apply. It is also where you can designate the schools you wish to receive specific letters of evaluation. Here’s the big bad essay section where you explain why you wish to attend medical school and address any pertinent information not included elsewhere in the application. This is the place in your application where you can make a case for yourself in your own words! Remember: PROOFREAD! There is no spellcheck in the AMCAS and also keep in mind no bold or italics will show. This is where you any test information goes i.e. MCAT scores/ future MCAT test dates and even GRE score if you got some. Feeling stressed? Check out some advice AAMC has to give on Application Anxiety! Applying to Med School: AMCAS 2017 is OPEN! The time has come for the entering class of 2017 med school hopefuls to APPLY! 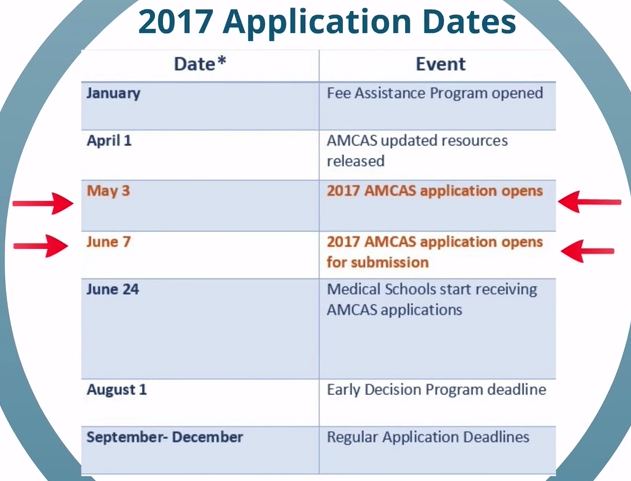 As of May 1st the American Medical College Application Service aka the AMCAS is OPEN! It’s the BIG one. This application is massive and meticulous so get on it ASAP. With the exception of the schools in Texas, the AMCAS is the application used for nearly all med schools in the U.S. The Texas programs use the Texas Medical & Dental School Application Service aka the TMDSAS, which also opened this month. Either way, it’s time to start applying! First thing first, here is the full 2017 AMCAS Instruction Manuel that you are required to read. The AMCAS is long and complicated; make your life easier and actually read the whole thing. All the information you can ever want can be found there and at the very comprehensive AMCAS website here. The application fee for the submitting your AMCAS is $160 (that includes one medical school designation) and additional medical school designations: $38 each. Keep in mind there is the Fee Assistance Program and if you qualified to use it when registering for the MCAT you probably qualify here too! It is strongly recommended to make use of the “Print Application” button on the Main Menu and proofread your application carefully. Realize that very few changes can be made after you officially submit your application, which you can start doing as early as June 2nd, 2015. After you submit your completed application and all of your transcripts are received the AAMC then verifies the information like the course section of your application. 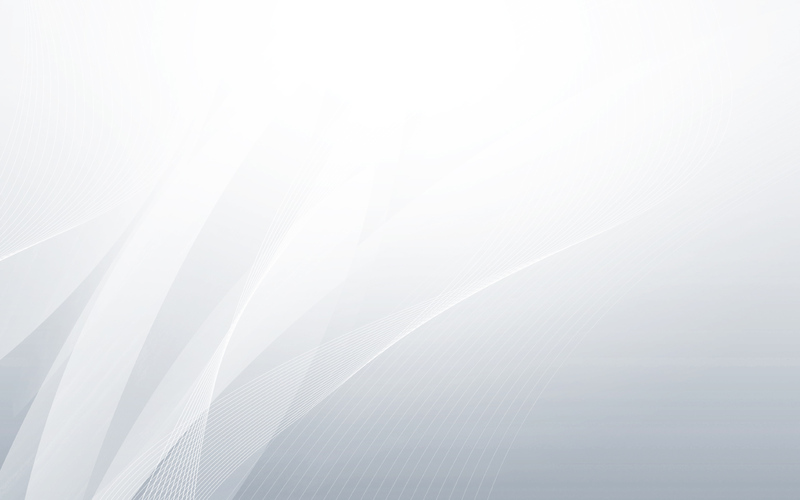 You can login using your AAMC username to monitor the status of your application. 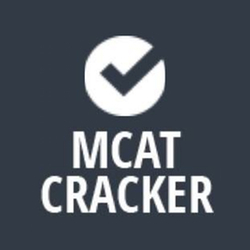 Well there it is folks, MCAT Cracker‘s application breakdown. Now that you’ve had time to sit with the AMCAS this summer and now comes the daunting task of figuring out where you’ll want to attend medical school! The deciding process can be exciting and fun but also nerving and stressful. According to the AAMC an applicant applies to an average of 15 med schools! During the application process you’ll really want to do your research and be efficient in picking where to apply because applying to a lot programs can get costly, especially with secondary applications and fees! Would you prefer a rural setting or a bustling city? Think about your time in undergrad, did that work for you or do you need a change of pace? A school visit is a wise choice before finalizing your decision on location to get a real feel and glimpse into your future stay there. The importance of living in a cool city may take a back seat when keeping in mind the cost of living expense differences in locations too. When thinking about tuition cost there are several factors to consider such as private vs public school or in-state vs out of state tuition, etc. Take a look at AAMC’s Tuition And Fees First Year Medical Students 2014-2015 for Public Schools here and Private Schools here; keeping in mind of available aide and scholarships each program may offer (diligent research needed). Be sure to take a look at program specifics like specializations and what kind of research opportunities are available to you? How important is class size to you? Check out these 35 Questions I Wish I Had Asked, a compilation of things medical student wished they could turn back the clock and ask! 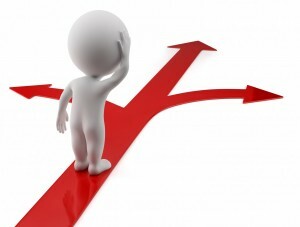 The key to making your final decision will depend how you prioritize these topics of consideration. So research and think it over carefully because it really goes without saying but these are very important four years for you. Applying to Med School: Early Decision Program! The Early Decision Program (EDP) is an elusive, exclusive, and may be an alluring option but there a few important things to keep in mind so let’s review! What is it exactly? The Early Decision Program gives you the opportunity to secure acceptance from one school by October 1, while allowing time to apply to other schools if you’re not accepted. This option can save time and money since you only apply to one program. Plus since you’re applying early it can save you a lot of stress but there is a catch (few actually)! You apply to one school and one school only. That decision is not to be taken lightly by any means because if accepted through the EDP you must commit to that school. The EDP is a restricted program, in that applicants are bound by program agreements including (I repeat) you apply to one school and if you get in that’s it! So basically only if you really know where you want to go and it’s your one true dream school then you can consider the EDP. Since it’s called the EARLY Decision Program you can imagine the application deadline to be much sooner rather than later. In fact for the AMCAS the deadline is August 1st! This includes both the AMCAS and any secondary application a specific school may require to be in by then. That’s a lot to get in so if you’re considering the EDP for real… finish reading this post and GET TO WORK! As if getting into med school wasn’t hard enough keep in mind that schools will only admit a small portion of their entering class through the Early Decision Program. That means only applicants with an already excellent chance of admission to a particular school should apply through EDP. To find out specifically about Texas schools participating in the TMDSAS Early Decision Program (whose deadline is also August 1st) go here. P.S. Since our last post the University of Texas’ brand new (well still under construction) Dell Medical School just received word on accreditation and is open for applications for 2016! If your interested apply here and check out a specially curated playlist for when you apply here. 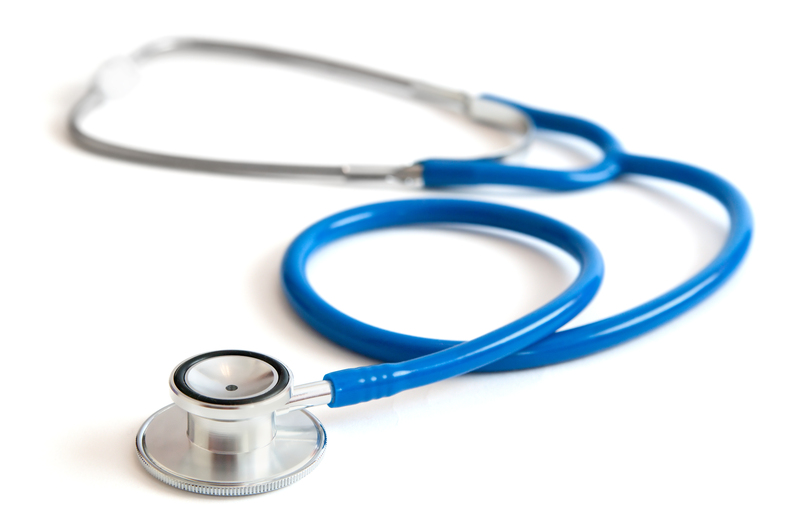 Applying to Med School: AMCAS 2016 is NOW OPEN! This past week the American Medical College Application Service aka the AMCAS 2016 officially opened! This application is a huge undertaking and it may seem a little early but it’s completely advisable to start now. The AMCAS is used by nearly all the med programs in the U.S. with the exception of schools in Texas. They use the Texas Medical & Dental School Application Service aka the TMDSAS and it officially opened May 1st. o First thing first, here is the full 2016 AMCAS Instruction Manuel that you are required to read. Make your life easier and actually read the whole thing. You’ll have to verify that you read it and you shouldn’t start this whole med school process by lying anyway, right? o The application fee for the submitting your AMCAS is $160 (that includes one medical school designation) and additional medical school designations: $37 each. Keep in mind there is the Fee Assistance Program and if you qualified to use it when registering for the MCAT you probably qualify here too! o You’ll use your AAMC username and password to login, save, edit, and submit your AMCAS. This is the same login info from registering for the MCAT and Fee Assistance Program. If you are completely new to the AAMC website you can register here. AMCAS Overview – Part I from AAMC on Vimeo. There are 9 sections of the AMCAS to complete. Click the section number to learn more about each section. Here’s the big bad essay section where you explain why you wish to attend medical school and address any pertinent information not included elsewhere in the application. This is the place in your application where you can make a case for yourself in your on words! Remember: PROOFREAD! There is no spellcheck in the AMCAS and also keep in mind no bold or italics will show. 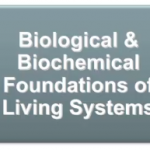 AMCAS Overview – Part II from AAMC on Vimeo. AMCAS Overview – Part III from AAMC on Vimeo.